Mimi Castle is listed among the most beautiful architectural masterpieces in the world of wine. Moldova it’s not about wine. It is about the story that stands behind that wine. From the sun pampered berries and carefully hand-picked grapes till the shape of the glass that will best unveil the wine flavor. Join this exiting journey and find the wine that will become your soul mate. Welcome to Moldova! Your adventure will start with a walking tour to discover Chisinau, the heart of the country. Being one of the leafiest capital cities in Europe, Chisinau is the country’s main tourist destination, with beautiful Orthodox churches, museums and parks offering free wi-fi, a real life saver to any traveler. You will end up in the evening with a blind wine tasting at a local wine bar. After breakfast, we are heading to Cricova, one of the few wineries in the world that still produce sparkling wines according to the traditional Champenoise method. The wine ageing is done fully in the underground cellars, boasting 70 km in total length. Wine storage in Cricova was initiated with the collection of Nazi officer Göring, which was transferred to Moldova as compensation for war damage. Currently it is home to 1.2 million bottles and 640 types of wine. At noon, we will be traveling to Orheiul Vechi, a cultural and historical complex situated in a rocky gorge of the Raut River. This valley, shaped by the tireless river with a pristine natural landscape, features huge limestone outcroppings. There are several ancient monuments and buildings set in the valley, dating from the X century BC to the occupation of the Golden Horde in the XIV century. By the end of the day, we will discover Chateau Vartely, one of Moldova’s newest wineries. Its premium segment is proudly represented by the selection of ice wines, created from Muscat Ottonel, Riesling and Traminer varieties. Chateau Vartely ice wines have an extraordinary intensity. When a winery presses the super-ripe frozen fruit, only a concentrated syrup oozes out to be fermented. For a few, the resulting wine is simply too sweet. But to its fans, ice wine gives a quite extraordinary joy. 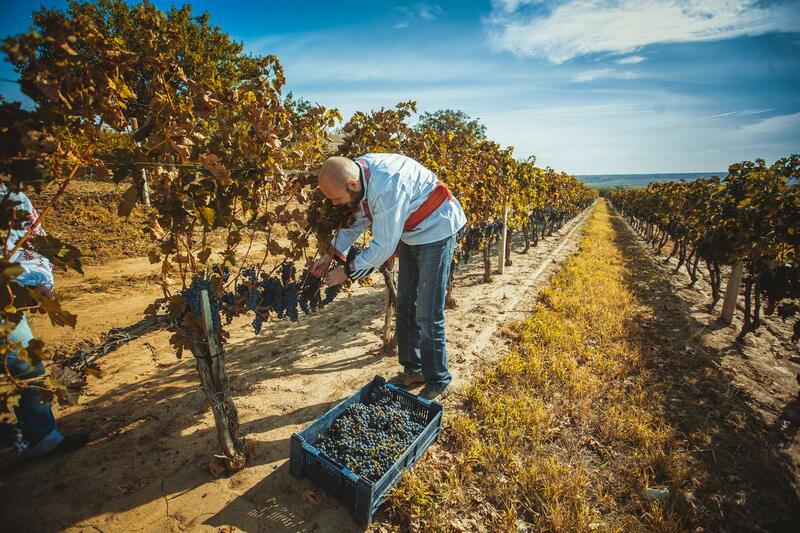 We start the day by heading to the south of Moldova to discover some more great wineries. The history of the Gogu Winery begins 4 generations ago in this family. 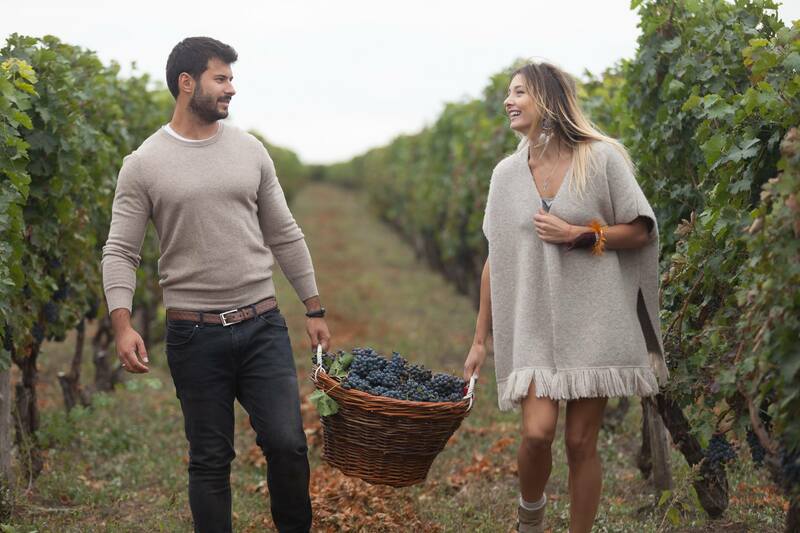 You’ll find how the owner Ilie Gogu manages to control the entire winemaking process, starting from planting the vine, grape harvest and until wine bottling. Later on, we will enjoy Et Cetera, a small family-owned winery where they believe that love and care is the key of family’s well-being. Here, only the best grapes are lucky enough to enter the cellars where they get fermented. 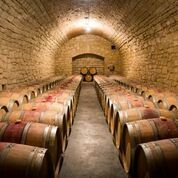 The wine tasting starts in the heart of the winery where you can taste young wines straight from the barrels. After lunch, test your culinary skills at a master class on making the Bride’s Placinta, a traditional pie for the south of Moldova that delivers amazing experience of taste and tradition. While the pie is being cooking, grab one of the winery’s bikes and check surrounding orchards. Depending on the season, you might find cherries, peaches or plums. During the morning we will continue exploring the wines of the south. First stop will be Purcari Winery, refined treasure founded in 1827. The estate, built in the style of French chateau, lets you experience the atmosphere of calm and luxury, and discover the innermost secrets of the creation of the legendary Purcari wines. The wine was served to Emperor Nicholas II as well as King George V and Queen Victoria of Great Britain. In the mansion’s galleries the best collection of Purcari wines are gathered and stored, with samples, dating from 1948. Here you will taste their emblematic Negru de Purcari, a blend of the Cabernet Sauvignon, Saperavi and the local variety Rara Neagra. On the way back to Chisinau, we will visit Mimi Castle. It is listed among the most beautiful architectural masterpieces in the world of wine. The story of the castle begins in 1893 when Constantin Mimi, the last governor of Bessarabia, planted the first grape vines on the place that would become legend over the years. Although it has been over a century since its founding, Constantin Mimi's winery has preserved its history and traditions that have consecrated it. Don’t miss the blending activity and label wine painting, as these will be for sure the highlights of this day.